There is a lot of planning that goes into executing an offline event to make sure that it goes off without a hitch. If you’re convinced that a pop-up shop could be just what your startup needs, there are some things to keep in mind during the planning process to ensure its success. Congratulations, you’ve launched an online startup! The first few months after a launch can set the tone for the future. One of the biggest challenges to launching a new business is the fact that no one has heard of you yet. Additionally, tight budgets and limited funding can make extensive marketing strategies impossible, leaving entrepreneurs desperate for customers. While it may not seem obvious, optimizing your customers’ offline experiences could be the answer to get your startup moving. Take the European shoe brand Kelme as an example. 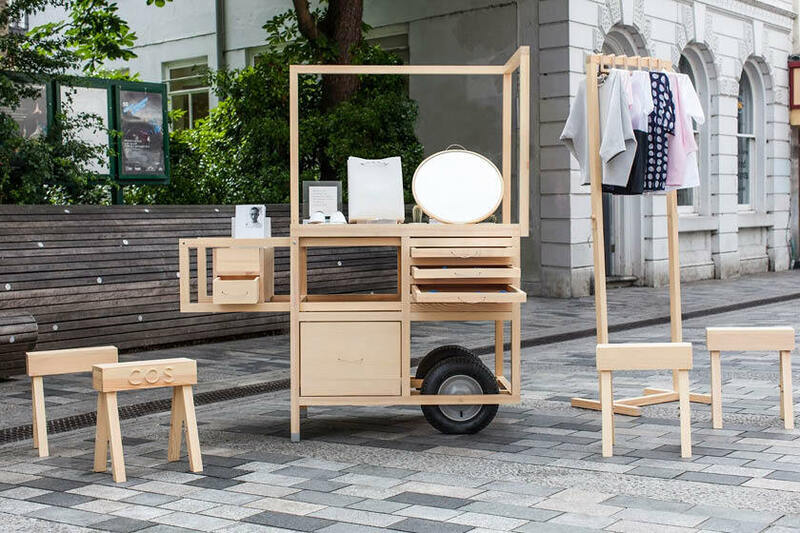 They were looking to relaunch their brand, and capture the attention of younger consumers specifically, so they decided to connect with their new audience with a pop-up shop. They opened the shop for three days in a busy shopping center in Madrid and invited bloggers and influencers to attend. The results? Their online supply of shoes sold out completely, along with 250 pairs in their temporary store! Plus, they reached their goal of connecting with their target audience, launching their brand into the market. The great news is that their story is just one of many. Hundreds of brands have found success by hosting a unique offline event to connect with their customers, and it could be the perfect way for your startup to gain momentum. Of course, there is a lot of planning that goes into executing an offline event to make sure that it goes off without a hitch. If you’re convinced that a pop-up shop could be just what your startup needs, there are some things to keep in mind during the planning process to ensure its success. Sometimes, the best approach to an offline event is to start at the end. In fact, most marketing campaigns or sales strategies require you to set your desired outcomes before you can decide how you will get there. As a startup, likely one of your goals is to increase your brand’s visibility and recognition. But how can you measure if there is actually an increase? Well, you can start with your social media following growth. An increase in followers means that more people are aware of your business and are interested in your content. 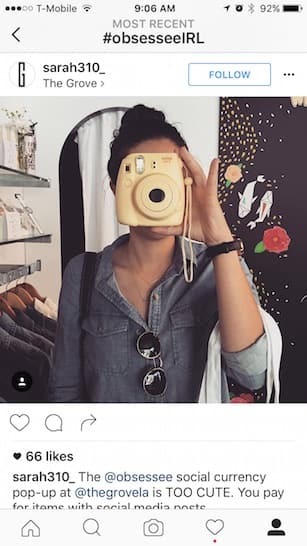 From there, you can come up with ideas that will encourage attendees to follow your social sites, such as requiring followership to be entered in a giveaway or even asking people to share their pictures and social allegiance as a form of “social currency,” like Obsessee’s pop-up event did. You may need to get extremely specific with your goals and milestones in terms of numbers for accurate measurement. Set a number you would like to reach, such as getting 1,000 more Instagram followers or selling $2,500 in product. This will help you gauge whether or not your strategies are working during the event. Is it to sell a bunch of your product to provide funding? Is it to build brand recognition? Is it to grow your social media following? Decide what the purpose is first, and then set the plans in place that will move you toward those goals. An offline experience is a physical representation of your company, so even the smallest of details must be in line with your brand’s image. Everything from color scheme to décor to atmosphere must create a consistent message that establishes your brand’s voice. Finding your brand is an important step for startups, though it may be difficult at first. After all, your startup may (and most likely will) evolve and change as time goes on. However, an overall theme must be apparent if you are going to connect with customers. Decide the kinds of words that you want your customers to use to describe your brand after the event. Is your company fun, colorful, and energetic? Then the layout of your pop-up shop and the items in it should reflect that description. Or, perhaps your brand is more minimalistic and sophisticated, like the fashion brand COS, whose pop-up store perfectly emulated their brand. COS pop-up via Chmara Rosinke. The key to building a recognizable brand is consistency. If your pop-up event’s design doesn’t match up with your business’s brand voice, it could have an extremely negative effect on your company, including diminished trust and confusion in the market. 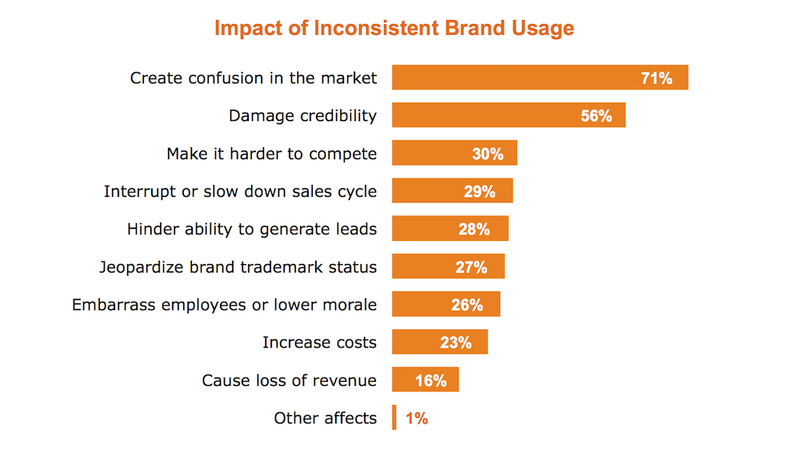 Via The Impact of Brand Consistency. Take the time to truly define your brand voice before you plan an offline event. Carefully choose the descriptive words that define your products and company values, as well as the overall feeling that you want your customers to have during the interaction. Once you have these descriptions in mind, you can start to plan ways to incorporate them through the design of your pop-up. There is nothing more embarrassing or disappointing than planning a huge event and having no one show up. For new startups, the chances that hundreds of customers will just happen across your pop-up is quite unlikely, so you must have a strong marketing strategy in place to promote your event ahead of time. To attract the right crowds, you have to understand why people want to attend an offline event. 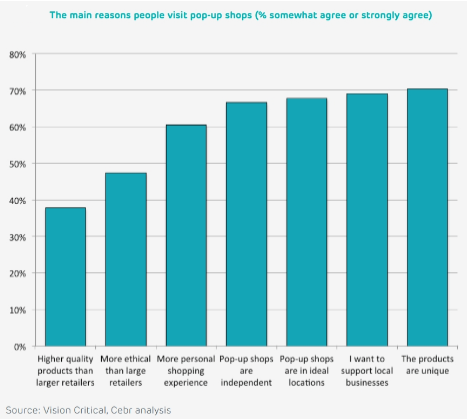 According to CEBR’s report, the top reasons why consumers visit pop-up events is to find unique products, support small businesses, and to have a more personal shopping experience. Therefore, your best bet is to hone in on these motivators through your marketing. Why people visit pop-ups, via Tickto. But more than just getting the word out that your event is happening, it is important that your brand actually builds some excitement about it. Pop-up shops are unique, fun, and trendy; people generally want to participate because they assume that there will be neat things to see and experience. But there are some creative ways that your brand can build hype before the event starts. 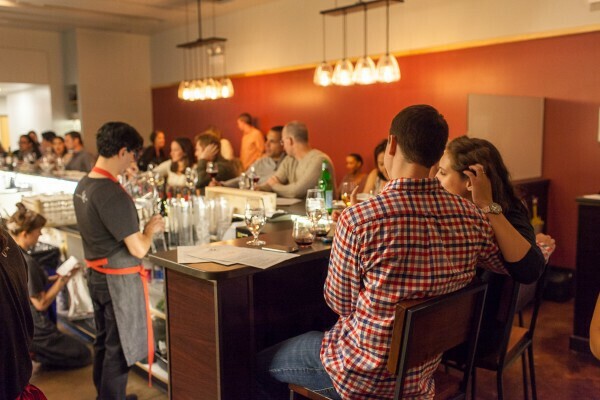 Ampersand restaurant, via Chicago Mag. On the other hand, if you are looking to make your brand seem accessible to everyone rather than an exclusive event, take the vintage retailer Buffalo Exchange’s approach. 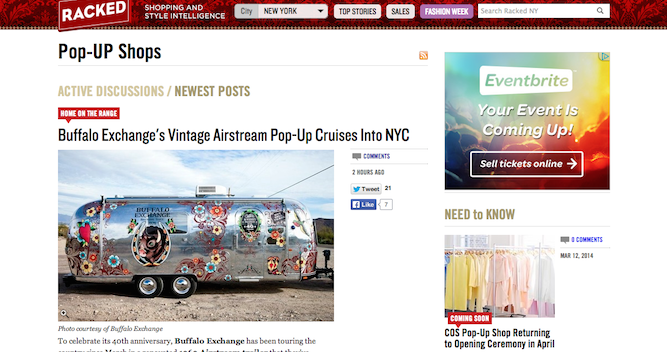 When their pop-up shop (which existed in an ultra-trendy vintage airstream) was destined for NYC, they reached out to media outlets and influential bloggers asking for coverage to generate buzz and promote the event, including the giveaways and special deals that would be offered. The Buffalo Exchange pop-up, as featured on Shopify. In today’s market, social media is going to be your best friend for building hype and buzz around your event. Be sure to promote the event in advance, and if your audience reach is fairly small, reach out to local micro-influencers, publishers, and media outlets for further coverage. An offline event or pop-up shop is a great way for your brand to create connections with brands in real life—something that is nearly impossible for online startups to do normally. But it is also an amazing opportunity to gather incredibly valuable consumer data that can help your business down the road. Say, for example, that your business needs to grow its customer database for better marketing strategies. An offline event is a perfect opportunity to gather this information, but only if you have the tools and systems in place to do so. 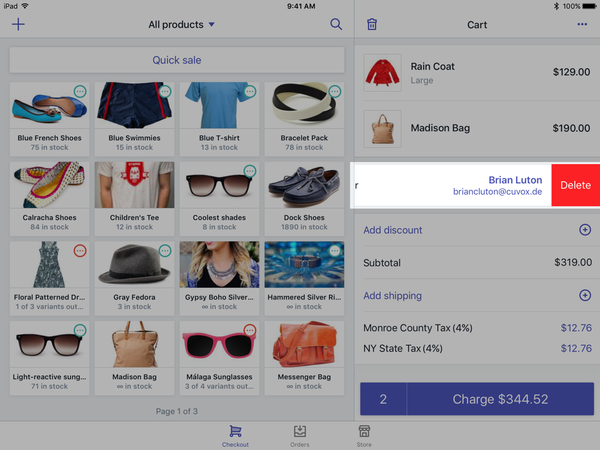 Using a smart POS system that collects consumer data is a great starting point, as it can create customer accounts based on their email address and track their purchase history. It is also the perfect opportunity to gather instant and valuable consumer feedback about everything from your product to your branding to customer service during the event. The clothing store REVEAL uses pop-up events regularly to test out new product ideas. They simply open up a temporary store with their new product line and ask shoppers to share their opinions about the items. This allows the store to really see whether or not the product will do well in the market, and it provides them great insight into their target audience as well, making it a double win for research. REVEAL’s pop-up, via the American Marketing Association. The important part is to find methods that will support your journey toward the end goal. Strategize about the best possible way to gather important information and determine the tools and systems that must be put in place to make it happen. 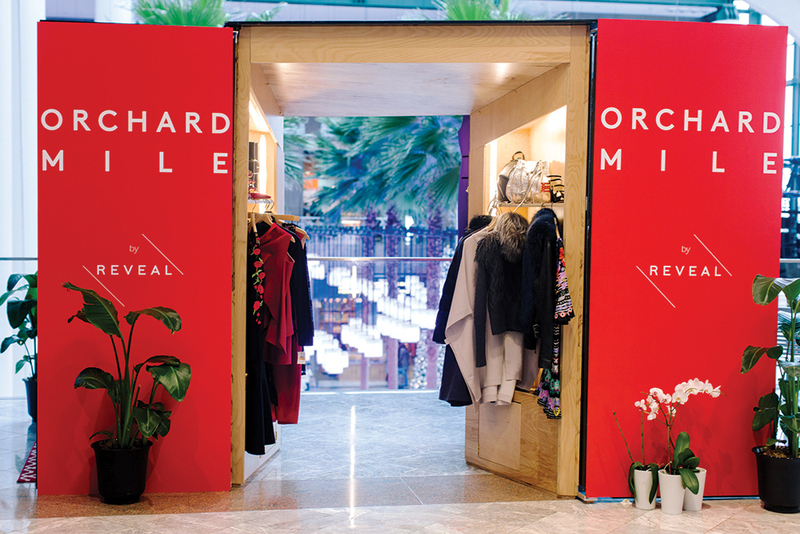 Pop-up shops, branded events, and other offline experiences have become increasingly popular for online companies to introduce people to their brands offline, in real life. With some careful planning, strategizing, and goal setting, startups can use an offline event as the perfect jumping off point toward a successful future.